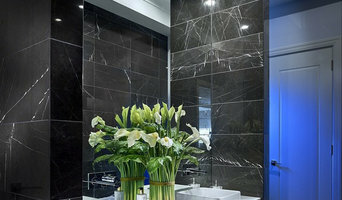 Come and visit our brand new 700sqm showroom – Adelaide largest for home renovations. 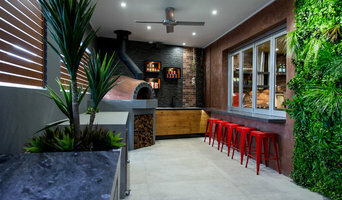 At Creative Home Renovations we specialise in home renovations of all types of living spaces. 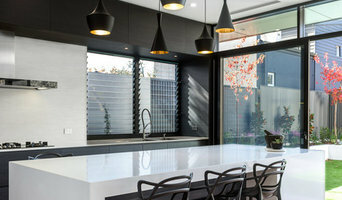 From kitchens and bathrooms to outdoor living and full home renovations, our experienced team of design and construction professionals have established our business as Adelaide's best and most reputable home renovation company. Architect, Nicholas Ingerson, is committed to individual and distinctive design solutions based on the specific needs of each client. His projects are focused on sustainable and environmentally friendly renovations and custom homes, which are managed from start to finish. Based in Adelaide, with over 45 years experience in South Australia, interstate, and Europe, Nick is a member of the Australian Institute of Architects (AIA). He has extensive experience in producing high-quality homes in the city, rural and regional areas. All projects are unique and provide innovative designs while embracing client expectations and balancing deadlines, budgets and functional requirements. We are a team of architects in Adelaide dedicated to achieving optimal outcomes for our clients and the environment. As the principal, I like to maintain interest and control of each project, so you will be dealing with me directly in each case. Warwick O'Brien Architects works to protect the environment and the global population through sustainable architecture, offering a vast array of architectural services encompassing new, alteration and addition projects. The journey is broken up into four stages and it includes submission to Local Council for Planning and Building Approvals and any attendant work necessary to achieve approvals. Reach out to multiple professionals — especially for larger projects — and don't settle for the first bid you hear. Comparing multiple Adelaide, South Australia professionals' bids and experiences can help you find the one that’s best for you. Ask a lot of questions now, so you won't have unexpected answers later. Find a home design professional: Narrow down your search by type of professional and location. Browse Adelaide, South Australia portfolio photos, read client reviews and contact each Adelaide, South Australia professional for more information. Check out the information in the specialised professional sections too for tips on how to hire the right professional in Adelaide for your project.